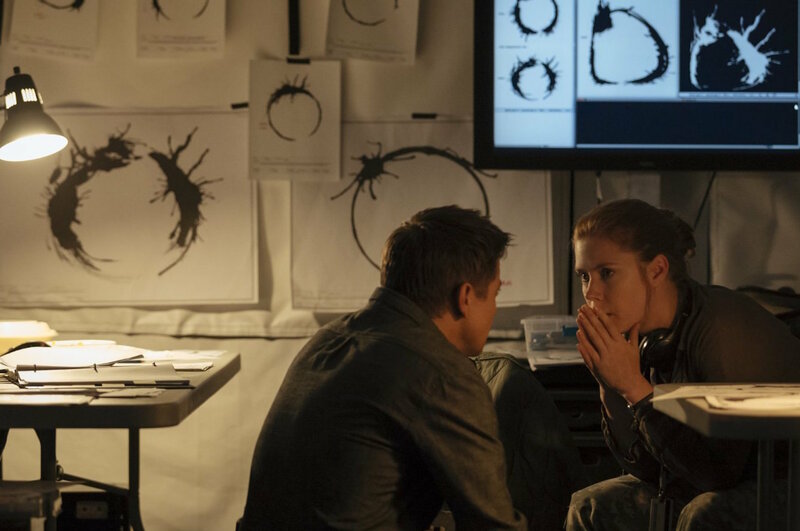 Arrival, starring Amy Adams and Jeremy Renner, is far from your typical sci-fi flick. Lacking any major battle scenes, laser beams or little green men, this is a quiet, cerebral film that focuses on language and communication — and may leave your brain hurting trying to decipher its scholarly concepts and unusual structure. Here’s what you need to know. “Story of Your Life” is a sci-fi novella by Chiang that won the 2000 Nebula Award and the 1999 Sturgeon Award. Screenwriter Eric Heisserer (Lights Out), recently told SheKnows that he is obsessed with linguistics and was eager to adapt the story into a movie. 2. What is the study of linguistics? 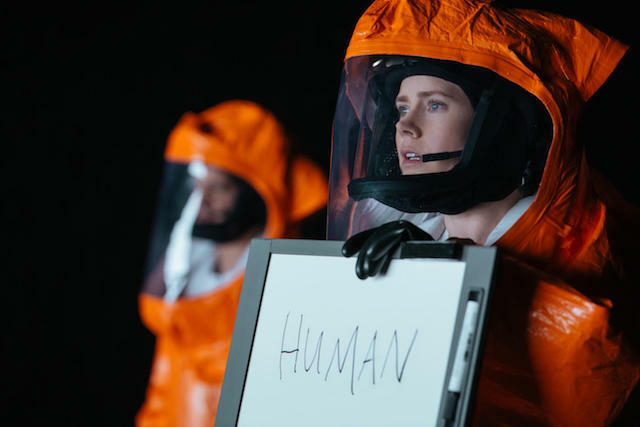 In Arrival, Dr. Louise Banks (Amy Adams), is a linguist. This means she studies language using a scientific process that goes beyond just learning how to speak multiple languages. Linguists study how different languages are structured, how they vary (are they read left to right like English, or right to left like Arabic? ), how they influence our behavior and how language shapes our perception of our surroundings. The movie Arrival was heavily influenced by the concept of linguistic relativity, also called the Sapir-Whorf hypothesis, that was first published in 1940 by linguists Edward Sapir and Benjamin Lee Whorf. The hypothesis is the idea that language not only influences thought and perceptions, but may also be responsible for what we are capable of thinking. 4. Do different languages create different realities? But not everyone bought into Whorf and Sapir’s idea. After some time, the Sapir-Whorf hypothesis fell out of favor because it lacked sufficient evidence to support its claims. People realized that just because we don’t have a word for something in English doesn’t mean we can’t understand a particular concept. For example, the French phrase l’appel du vide translates as “the call of the void” in English and means “the sudden inexplicable impulse to jump when in a high place or standing on a high ledge.” English has no such word or phrase, but most of use have experienced that impulse and could describe it. However, some new research does suggest language may influence our understanding of space and time more than we think. 5. What is nonlinear orthography? Orthography is a set of rules about the way a language is written, including spelling and punctuation. English is linear orthography because we read it from left to right, and there are clear rules about when a word or sentence begins and ends. The alien language of the heptapods is nonlinear, written in circular puffs of smoke with no beginning or end. Information at the end of a sentence is known at the beginning, because they both exist at the same time. The entirety of the thought or sentiment is experienced at once, not in a progressive order. While most movies are told in a linear way, where we see the beginning, middle and end in that order, almost everything in Arrival has a circular nature. The aliens themselves have big circular heads with seven limbs that circle their bodies. Their written language also appears in rings. This circular structure also applies to Louise’s flashbacks and flash-forwards, which is why the story gets a little confusing. In Arrival, Louise’s future and her past become one. This is probably the most confusing part because our minds want to think Hannah either existed in the past or exists in the future. In Arrival, Hannah exists in both at the same time. Louise knows the outcome of her daughter’s life even before Hannah is born. Hannah’s name is also a palindrome, spelled the same forward and backward. A person who experiences life in a linear order would say, “yes.” The premise of Arrival is that by mastering this circular alien language, Louise’s brain becomes “rewired” to comprehend the past and future at the same time. At the beginning of the movie, Louise says in her voice-over, “Memory is a strange thing, bound by the order of time.” The film explores the possibility that if we communicated in a language that wasn’t “bound by the order of time,” our brains might be able to perceive time in a nonlinear way. Arrival opens in theaters today.